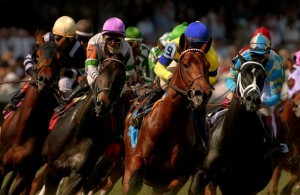 Kentucky Derby Contest – Winner gets 20 bags of Strategy Horse Feed! The 138th Kentucky Derby is Saturday, May 5th! 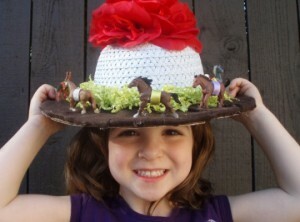 To celebrate the famous race and extraordinary horses we are having our own Derby Bonnet Contest! To participate, contestants only need to wear their Derby Bonnet into the store for a coupon book from Farnam horse products, full of coupons worth $120! The coupon book is packed with coupons for fly spray, horse supplements, and more! The WINNER of the Derby Bonnet Contest will win 20 Bags of Strategy Horse Feed!! Stop by the store and show us those Derby Bonnets! This entry was posted on Friday, April 27th, 2012 at 4:13 pm	and is filed under Events, Horse, News & Updates. You can follow any responses to this entry through the RSS 2.0 feed. Both comments and pings are currently closed.